RVNL Recruitment 2019 - Job notification for Accountant, SAO & Accounts Assistant Posts in RVNL, Delhi on Contract Basis. 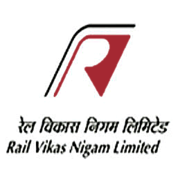 Applications are invited by Rail Vikas Nigam Limited on or before 17 Feb 2019 for 6 vacancies. Corporate Office, RVNL, 1st Floor, August Kranti Bhawan, Bhikaji Cama Place, R.K. Puram, New Delhi110066. Minimum 2 years working experience in Railway or Central/State PSU executing Railway infrastructure construction. Experience of a compilation of company accounts in commercial accounting, Budgeting, Direct/Indirect taxation, the filing of all types of company taxation returns including GST etc., knowledge of Accounting Standards, interpretation of rules and company laws. Minimum 10 years working experience in Railway or Central/State PSU executing Railway Infrastructure construction. Experience of a compilation of company accounts in commercial accounting, the filing of all types of company tax returns including GST, Reconciliation of accounts with Banks/ Railway/Govt. Departments, Maintenance of subsidiary registers, Computer knowledge is essential. Minimum 3 years working experience in Railway or Central/PSU executing Railway infrastructure construction. Experience of maintenance of all types of establishment bills including salary/compensation to employees/ consultants/contractors. Online preparation and submission of Statutory Tax returns including form 16, 16A etc. Knowledge of established rules and regulation with computer working. Eligible candidates may send their application in prescribed format (attached below) to the Addl. General Manager/HR, Room No. 253, 1st Floor, August Kranti Bhawan, Bhikaji Cama Place, R.K. Puram, New Delhi-110066 or dropped in the Application Box kept in the office of AGM/HR, New Delhi in RVNL Corporate Office on or before 17 Feb 2019, along with documents relating to educational qualifications, experience, caste certificates etc.